The most profound change taking place in the luxury market is the fragmenting of the concept of luxury. Luxury means different things to different consumers, with no clear-cut boundaries that define value any longer in the diverging luxury space. 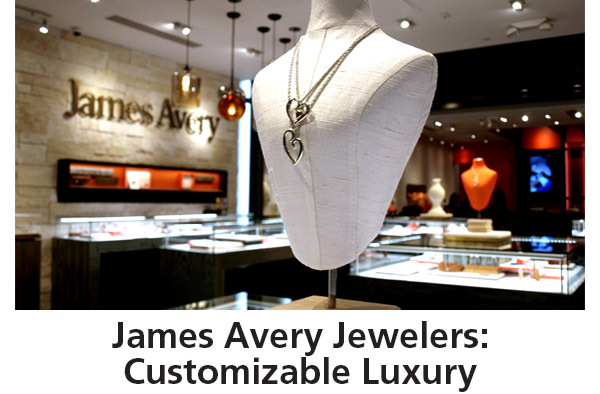 For James Avery Jewelers, they encourage new customer consideration and core customer engagement to celebrate the joy of owning, giving and wearing their brand. Their unique artisan jewelry inspires customization, with pieces that can shine for any special occasion. Among their customizable pieces, associates demonstrate how to create and curate a bracelet, whether for a first time purchaser or to add an existing collection of charms. A charming video. The challenge for brands is to clearly define what they are selling, whether heritage, handcraftsmanship, exclusive material, or in the case of a brand like Sleep Number, cutting-edge functionality. Today, the store, its outlet and even CES exhibit creates a consumer-centric, interactive shopping environment that transforms a purely rational shopping experience to one that maximizes both rational and emotional appeals, elevating the Sleep Number experience to the full potential of the brand. Going high-tech at CES. In this era of mass production, exclusive artisan-created items uphold the inherent value that consumers expect to pay, while meeting their level of expectation for luxury goods. Within this new reality, the idea of finding luxury in expected places makes them ever-more appealing. With a focus on the implicit and subtle transformation of materials, the Museum of Arts and Design in NYC becomes a natural place to seek objects from serious to whimsical, functional to esoteric, and complex to simple. Intriguing museum shops. Shopping malls are becoming the 21st century version of ghost towns. While mall owners blame the trend on the closing of anchor stores, like Macy's, JC Penney and Sears, the real reason behind the demise of malls is that shoppers have lost interest. Since 2010, more than two dozen enclosed shopping malls have closed, and an additional 60 are on the brink. By 2025, an estimated 15% or more malls will be closed or repurposed, according to projections by Green Street Advisors. Responding to the loss of mall business, big-box retailers figure the way out of the box is to reduce the box size. So Target launched new smaller-sized stores under the CityTarget name and big-box retailer Best Buy is focused on a 'community-oriented retail' concept with a smaller-is-better philosophy. Walmart tried it too, opening over 100 small-scale Walmart Express stores in urban locales. But downsizing didn't work for Walmart, as it will close all Walmart Express stores this year. Problem is you can make a big-box store smaller in size, but you can't make them smaller at heart. And that is what shoppers really want. Today, the sameness and ubiquity of the big-box store experience is beginning to show fatigue. Walk through any of the nation's one-thousand-plus enclosed malls and you might notice they all look much the same. Filled with the same stores, offering the same merchandise at the same "sale" price; it's too much of the same thing. Consumers are beginning to look for something new and different, and they are finding it on "Main Street" not in the malls. Main Streets and the independent retailers that thrive there are on the cutting edge of a shift in retailing. While the Great Recession took out a wide swath of retailers -- economic natural selection at work -- the successful retailers that remain represent the best and brightest. They have come through the worst and emerged onto the other side stronger, smarter and more resilient. A number of economic, cultural, and demographic trends are aligning to make the next ten or so years a strong and potentially prosperous one for small independent local retailers who deliver new, different, personalized, specialized retailing experiences that no large national retailer can ever hope to achieve. Why? Because consumers today, from aging Baby Boomers to young Millennials, are looking for a more personal shopping experience. These consumers with heightened expectations demand a true customer-centric retailing experience in the way that today's specialty independent retailers deliver it; by both necessity and design. Consider the increasingly affluent customer base that gives specialty independents an edge. These stores generally sell things people desire, not just what they need. And the independents tend to cater to that sense of reward fulfillment, emblematic of affluent customers with discretionary dollars. While the middle class lost its spending power in the recession and has yet to recover, the affluent, defined as those at the top income quintile of the economy which starts just slightly above $100,000, have the incomes on which specialty independent retailers rely. The affluent are pragmatic shoppers; practical about buying commodities from mass-merchandisers, and passionate about fulfilling their desires in smaller shops where they know store owners and staff. They demand to be treated with a high level of personal service, and expect a differentiated, experiential sell. The most successful specialty independent retailers operate in a rarefied realm. With a focus on serving the customer holistically, rather than just satisfying their product needs, specialty retailers can make the shopping experience relevant and personal for each and every customer. They achieve a level of intimacy with customers that no mass retailer can. Over the next ten years, independents will thrive as multi-generational customers cut back on the one-size-fits-all approach of mass retail and the sameness that it engenders. Customers will seek these smaller stores for different reasons, based on their socio-economic, psychographic and demographic outlooks. The next decade will see a great winnowing down, restructuring, and right-sizing of mass-market retail, which will give a new opportunity to independent specialty retailers... as long as they get it right. Today's retail environment is ripe for inspired, creative independent specialty retailers to prosper. The secret of success is the ability for them to know -- really know -- their customers and deliver the valuable, unique shopping experiences these demanding, savvy, eager-to-be-pleased consumers crave. It's not just about the stuff. Retailing today is a people business, no longer a product-focused one. In the future, retailing success will accrue to retailers that understand that how they sell is more important than what they sell. Get the inside scoop on the next generation of the best potential customers - HENRYs (high-earners-not-rich-yet). Click this link to receive a complimentary copy of Pam's new mini-book, What Do HENRYs Want?, revealing how to tap the potential of the next generation of shoppers. Pamela N. Danziger, speaker, author and researcher, is an internationally recognized expert specializing in consumer insights for marketers targeting the affluent consumer. She is president of Unity Marketing, a boutique marketing consulting firm she founded in 1992. Pam leads with research to give luxury marketers "All Access" to the mind of the affluent consumer. Pam may be reached at www.unitymarketingonline.com or call 717.336.1600.